Winners have been announced for the 54th Academy of Country Music Awards (ACM) which aired live earlier this evening (Sun, Apr 7th), hosted by iconic entertainer and 16-time ACM Award winner, Reba McEntire, on the CBS Television Network from the MGM Grand Garden Arena in Las Vegas, NV. The ACM Awards named Keith Urban as Entertainer of the Year, his first win in the category and the evening’s biggest honor. With this win, he will receive the prestigious ACM Triple Crown Award, as he previously received awards for New Male Vocalist of the Year and Male Vocalist of the Year. Dan + Shay won Duo of the Year as well as Song of the Year and Single of the Year for “Tequila.” In addition to the wins as an artist, Dan Smyers received two individual wins as a producer in the Single of the Year category and songwriter in the Song of the Year category. Kacey Musgraves won Female Artist of the Year for the first time. She also won Album of the Year as both artist and producer, for Golden Hour. Musgraves previously won in the Album of the Year category in 2013 for Same Trailer Different Park. Thomas Rhett won Male Vocalist of the Year for the second time. He first won the award at the 52nd ACM Awards in 2017. Luke Combs, LANCO and Ashley McBryde were also previously announced winners of the New Male Artist of the Year, New Group of the Year and New Female Artist of the Year, respectively and each performed on the show. The winners received a surprise phone call from host Carrie Underwood last month notifying them of the news. Country Music’s Party of the Year featured an all-star lineup of collaborations and memorable performances. 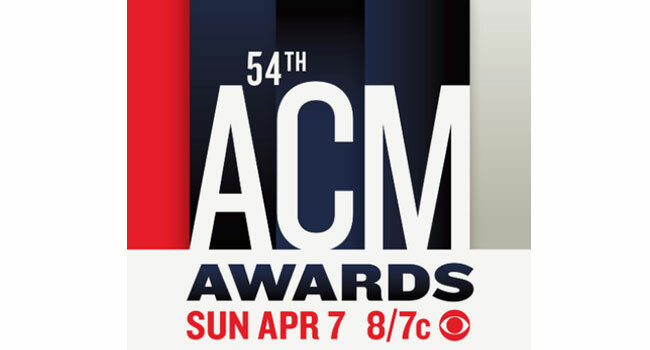 The awards telecast once again featured “ACM Flashbacks” with 29-time ACM Award-winning duo Brooks & Dunn performing “Brand New Man” with Luke Combs, and the King of Country Music and 24-time ACM Award winner George Strait performing “Run” with Miranda Lambert. In addition, Lambert, the most-awarded artist in ACM Awards history with 32 wins, performed a flashback medley of her greatest hits. Chrissy Metz, star of the upcoming movie Breakthrough, made her live television performance debut at the ACM Awards and was joined on stage by Lauren Alaina, Mickey Guyton, Maddie & Tae and Carrie Underwood for a special rendition of the song “I’m Standing With You” from the film’s soundtrack. The powerful performance spotlighted ACM Lifting Lives, the philanthropic arm of the Academy of Country Music dedicated to improving lives through the power of music.